Our King Suite is our largest and most secluded room. 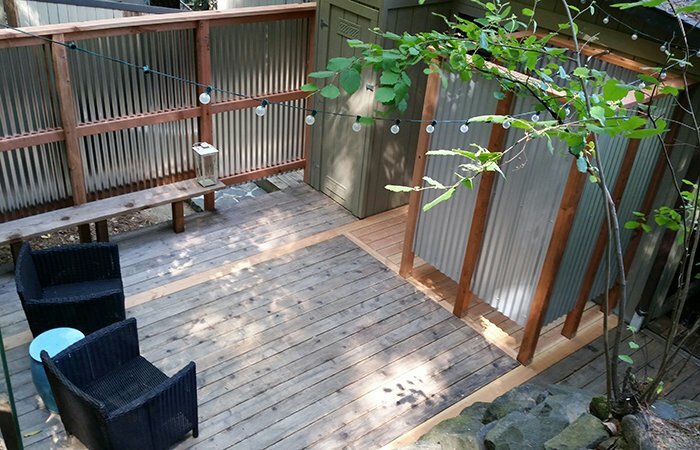 The patio is private and boasts an outdoor shower and sitting area under the shade of redwood trees. The suite offers a comfortable living room and full eat-in kitchen. In the bedroom you will find a King bed overlooking the beautiful garden. The suite is located up 3 flights of stairs at the very top of the property. This room type is not a child or dog-friendly room.